If you are the user of Sprint variant of the Samsung Galaxy Note and are looking forward to root your device, then here is the easy tutorial for you. With the help of this tutorial you can now easily root your device without tripping its flash counter or switching to another ROM. Full Credits will goes to the XDA Recognized Contributor mrRobinson who has taken the latest stock Odin-flashable factory images for the devices, and injected them with the su binary and SuperSu app, leaving everything else as is. The result is a pure stock ROM, with only root access added. Since nothing else is modified, the flash counter on your device should remain safe. Once you root your device, there is a chance of your datas getting wiped off so, before start to proceed take backup of your datas completely. Next disable all the antivirus suites in your computer as well as mobile so that the rooting process may not get interrupted. Get the drivers for the SPH-L900 from the Samsung website so as Odin can detect your phone. In the Samsung website just click on the Manuals and Download options at the bottom and then on the Software and get the latest drive for your device. This is a root injected factory stock L900VPALJ1 Odin Flashable image. You flash this in Odin just as you would completely stock ROM from Samsung. In this tutorial, we simply injected the su binary and SuperSu app so you now have rooted stock image. First, download the image from here or here. Next download the Odin from here. After that, use the Odin, put the phone into the download mode. To enter into the download mode you need to off the phone, after that hold the volume down button + Home button + Power button. So, once you entered into the download mode connect your phone to the computer with the help of micro USB Cable that came with the phone (Please don’t use other USB cable if you do so you may face any issues)and open the Odin file. Once you open the Odin file, click the PDA field and select the image file which you have downloaded at the first step. Leave your device to Auto Reboot and F.Reset time checked. After that click start button and when it finished then again let your phone to reboot. If you just want a stock, rooted phone with no custom recovery, no plans to flash custom ROMs, etc. then you can stop here. Stock Recovery: Once you rooted your Sprint variant Samsung Galaxy Note with above method, if you receive a notification for an OTA update, it has been verified you can use OTA RootKeeper to retain root through the update process. Non-Stock Recovery: If you have loaded a non-stock recovery (per below) you can simply use it to flash the OTA Update flashable zip which we have given the below link. It seems loading any custom recovery will trip the download mode flash counter. Loading a non stock recovery will also prevent you from successfully applying OTA updates however, here is a procedure for any who want a non-stock recovery ( The instructions which we have provided below will install the TWRP Recovery). Option 1: Download the GooManager from the Play Store. Once installed click the menu and select “Install Open Recovery Script”. Option 2: Download the TWRP recovery image from here. Copy the same into the SD-card of your phone. Connect your phone to your computer and use adb. Just in case, you are unfamiliar with adb commands then Grab the android terminal emulator from the Google Play Store and run the same commands starting with su and then the dd command. I have been using the ota-friendly root on my phone and it has been great, but I have not been able to get the latest ota update to install on my phone. 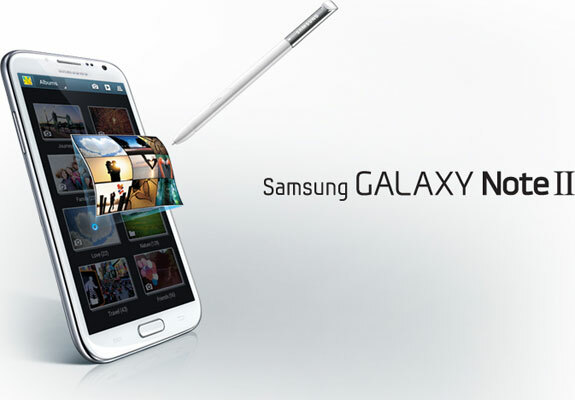 I have the Galaxy Note II. Is there an updated version of root66_SPR_L900VPALJ1?